The 1930s have proved a prosperous decade for Ben Richardson-Piche ’14, even though he was barely alive in the 20th century. A lifelong Durham-area resident now going north to Kent State University’s musical theatre program, Richardson-Piche cites period pieces as his grand highlights from two key institutions in his development. 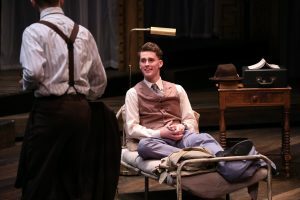 This past July was the culmination of his stay at the PlayMakers’ Summer Youth Conservatory on UNC’s Chapel Hill campus. There he took on the male lead role of Cliff Bradshaw in Cabaret. 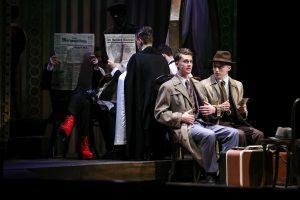 After a six-week preparatory grind, followed by nine shows in 12 days, Richardson-Piche came away with a new coat of confidence. You might say his navigation of the role simulated Cliff’s own struggles as an American writer seeking ideas in early-’30s Germany. “Cabaret is a truly amazing piece of work, and it has such an important message,” he said. “Cliff is a very complex and difficult character, and I had a really hard time with him for the first few weeks of rehearsals. 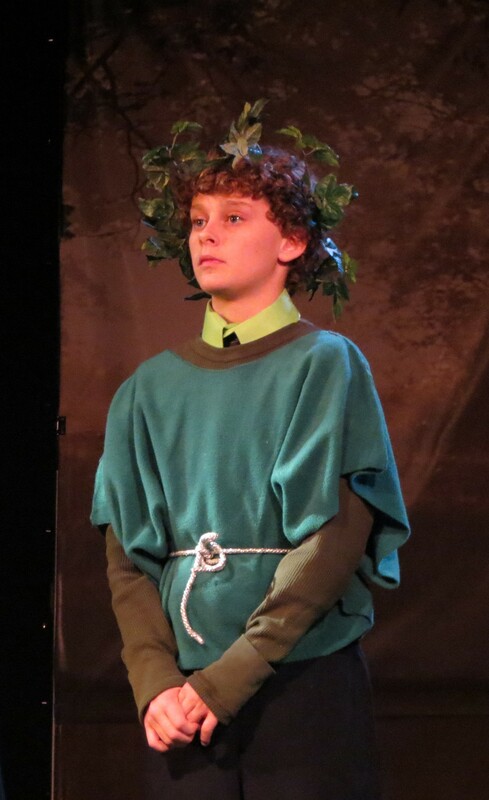 I was contemplating my skills as an actor, doubting myself, generally feeling negative about how I was performing. Not that his built-in desire for challenges on stage would have trouble staying afloat. Prior to Jordan, Richardson-Piche had logged his entire education at the Montessori Community School. There he had the closest connections possible, and they instilled his yearning for each fundamental half of musical theatre. His mother, Karen Richardson, garnered a master’s degree in musical education at Colorado State University. She parlayed that to a teaching position at MCS, which Richardson-Piche started attending as soon as he was old enough for the school’s toddler program. His father, Peter Piche, formerly led the eldest MCS age group, the equivalent of seventh and eighth grade. “Having him help me out during shows was definitely an influential experience for me,” Richardson-Piche said. “My father has always been a supportive presence in my life, especially with respect to theatre. I wouldn’t have auditioned for PlayMakers’ SYC if it hadn’t been for his encouragement. Reinforcement and rhapsody defined his run at the pre-K-through-8 Durham school nuzzling the Chapel Hill border. Beyond the presence of his parents and their respective aptitudes, the Montessori philosophy made Richardson-Piche’s own foundation an act of fostering by finding. “MCS taught me that I can be whoever I want to be,” he said. “The curriculum inspires creativity, and students aren’t put at desks and forced to stare at a whiteboard all day. The learning is interactive and can even be fun. Someone was ahead of him on that front when the time came for Richardson-Piche’s last extracurricular endeavor at MCS. Every winter, the school’s seventh- and eighth-grade students — otherwise known as the adolescent community — stage a selected musical at the Carrboro Arts Center. In 2014, the production of choice was Shakespeare in Hollywood. For his role, Richardson-Piche portrayed Puck after the sprite had been transported to Los Angeles while Tinseltown was coming into its own despite the Great Depression. While taking in a contemporary shooting of their play, A Midsummer Night’s Dream, Puck surprises the Fairy king Oberon by striking a star’s pose in a Barbie SUV. Comparatively speaking, the next two years were a lull for Richardson-Piche. He got in on Jordan’s performing arts as a sophomore and continued there as an upperclassman. But the summer of 2016 was a more marked turning point. 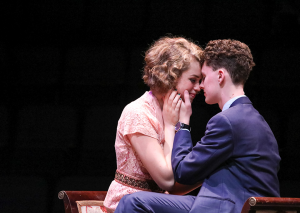 After taking in the PlayMakers’ summer production of Violet, he craved a crack at the selective, professionally-trained program. Leading up to the casting calls for 2017’s Bye Bye Birdie, he clicked on an e-mail his father had forwarded and dove into the pool. Directed by the seasoned Michael Perlman, whose accolades include a 2013 GLAAD Media Award, Richardson-Piche came away with his ambitions cemented. “PlayMakers’ Summer Youth Conservatory program is what made me realize that theatre is what I want to do for my career,” he said. Coming off Cabaret, he is now a newcomer in northeast Ohio. 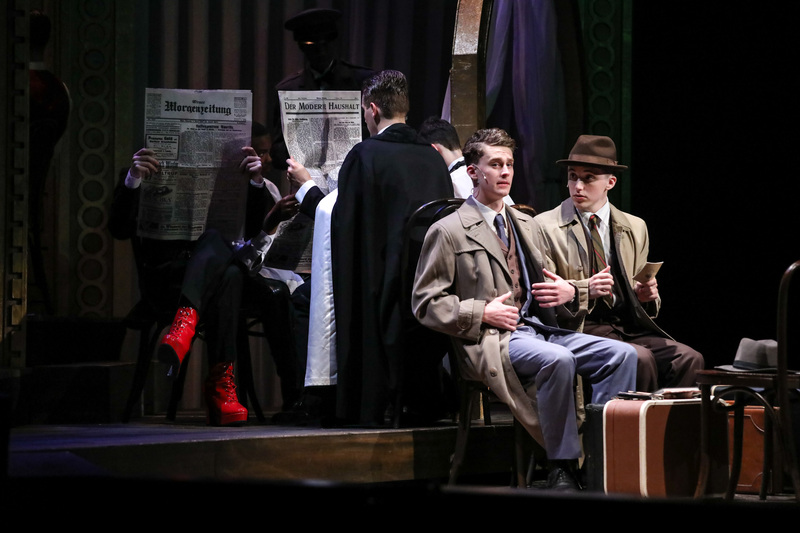 He is delving into a collegiate program that has produced such stars as Ray Wise of Twin Peaks, Tony-winning actor Alice Ripley and Emmy-winning producer Jeff Richmond. “The thing I am most looking forward to is expanding my knowledge of what I am most passionate about,” he said. “Performing has always made me happy, and I am thrilled to be in a program where I’ll be taught the skills I need to have in order to reach my career goals.